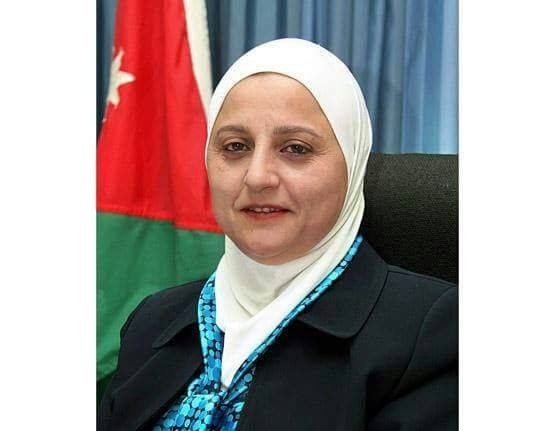 Judge Barakat is a distinguished graduate of the University of Jordan, who as of October 2018, serves as the first female General Director of the Judicial Institute of Jordan. In February of 2018, Judge Barakat was honored to assume the responsibility of serving on the Supreme Court—the first female judge to do so. Judge Barakat’s position in the Courts of Appeal of Amman assumes a notable post: the head of the Economic Commission (Sep 2017 – Jan 2018), following her work as the first female Inspector in the Judicial Inspection Directorate (2014-2017). Prior to that, Judge Barakat was appointed Chairwoman of the Board of Urgent Matters at the Court of Appeal of Amman (2012 – 2014). She was also Amman’s first female Attorney General (2010 – 2012), a post that is rarely held by women worldwide. A seasoned legal professional, Judge Barakat was also appointed as the first female Chief of Court in Jordan, presiding over the West Amman Court from June 2007 –July 2009. Previously, she was appointed as the first Jordanian female judge at the Amman Court of Appeals. Between 2004 and 2005, Judge Barakat was Director of International Relations at the Ministry of Justice, where she participated in drafting the National Agenda in her capacity as a member of the Legislation and Justice Pillar Committee. Since 2011, she has assumed leadership of the legal team at the Jordanian National Commission for Women (JNCW). Between 1998 and 2002, prior to joining the judiciary, she worked as a lawyer and legal consultant at her own law firm. Judge Barakat has participated in a number of regional and international conferences and has given many public lectures on law and women’s involvement in the field. She has also participated in multiple training courses, including the Pepperdine University Mediation course in the US. Since 2016, Judge Barakat has been a certified legal investigator focused on investigating cases of sexual and gender-based violence (SGBV) as international crimes in the Justice Rapid Response-UN Women SGBV Justice Experts Roster. Barakat believes in the saying that, "Today's preparation determines tomorrow's achievement". "Knowledge and education is the tool for making change and development in societies," she says, "For that prepare yourselves with knowledge and determination to launch into a life of achievements". "Your homeland's present and future depends on your successes," she added.